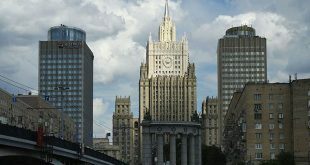 Moscow, SANA – Russian Deputy Foreign Minister Oleg Syromolotov said that Russia has repeatedly announced that its patience over the continued presence of terrorists in Idleb will eventually run out. 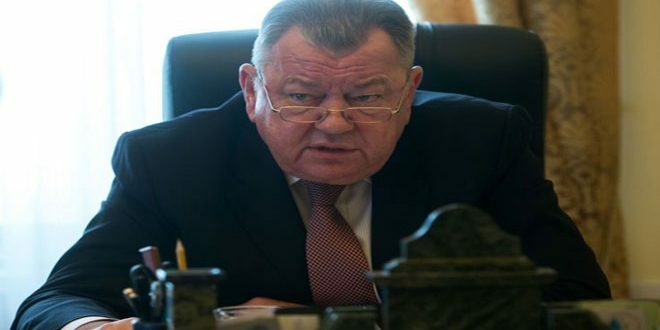 Syromolotov told Rossiya Segodnya news agency on Monday that the situation in Idleb is subject to a memorandum of understanding between Russia and Turkey, the implementation of which should lead to the elimination of the terrorist presence there. He added that based on that, the Syrian Arab Army is carrying out a large-scale military operation against terrorism in that area. Idleb has become a center of Jabhat al-Nusra terrorists’ remnants, whose militants are constantly launching attacks on the neighboring areas, Syromolotov said.